Have you ever had a chai at a café that is sickly sweet or powdery? That’s NOT how real chai should be made and Mikhara has set out to provide a fast but authentic chai recipe to cafes across the country. More importantly, she set out to invest profits from the business into supporting young, remote Australians to access life changing entrepreneurship and careers support. A year ago Mikhara could be found in a suit at the Deloitte offices in Sydney working as a health and technology economist. 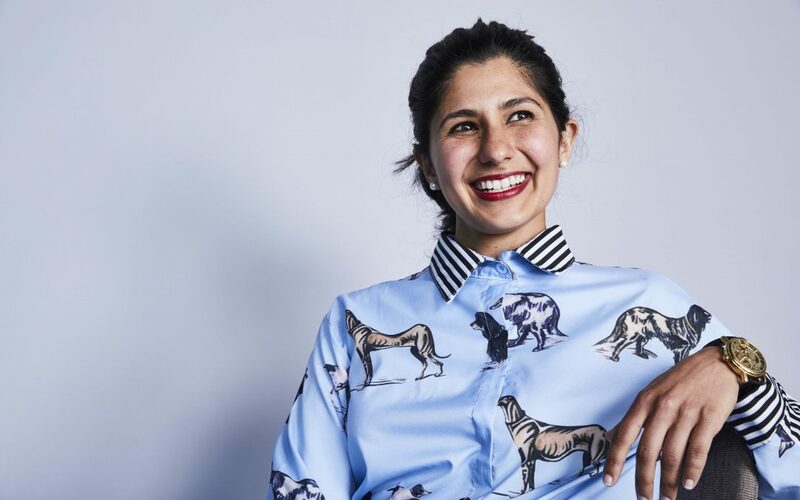 We spoke to Mikhara to find out how she made the move from corporate professional to a social entrepreneur. I remember being 11 years old when I first learned the word entrepreneur. I still can’t spell it out loud but I knew then that is what I wanted to be. All through school and university, I was actively involved in the social good space, travelling to work in schools in Tanzania, India and Nepal while facilitating leadership conferences for young people around Australia. Upon graduating from a dual honours degree in Law and Economics, I thought that I had to choose between creating a professional career or volunteering for social good causes. Learning about social entrepreneurship was a lightbulb moment for me. It meant I could make a career out of helping people. I was fortunate to have the support of family, friends and my partner to make the leap from corporate life to running my own business. I started by moving out of Sydney to a more affordable lifestyle in Byron Bay and began to surround myself with other social entrepreneurs. I mentally had to prepare myself to live off my savings for a period of 18 months, which was the time frame I had given myself to make my business viable. The best thing I did was apply for the Young Social Pioneers program run by The Foundation for Young Australians which gave me the network I needed to feel supported. I began to learn the skills of running a small business by jumping straight in. I contacted tea suppliers in the region, asking for in-kind support and partnerships. Once people understand that you’re trying to establish a sustainable way to support young people in their communities, they are keen to be a part of that movement. My start-up costs were low and the biggest expense was my time which I was committed to as I made this my full-time profession. 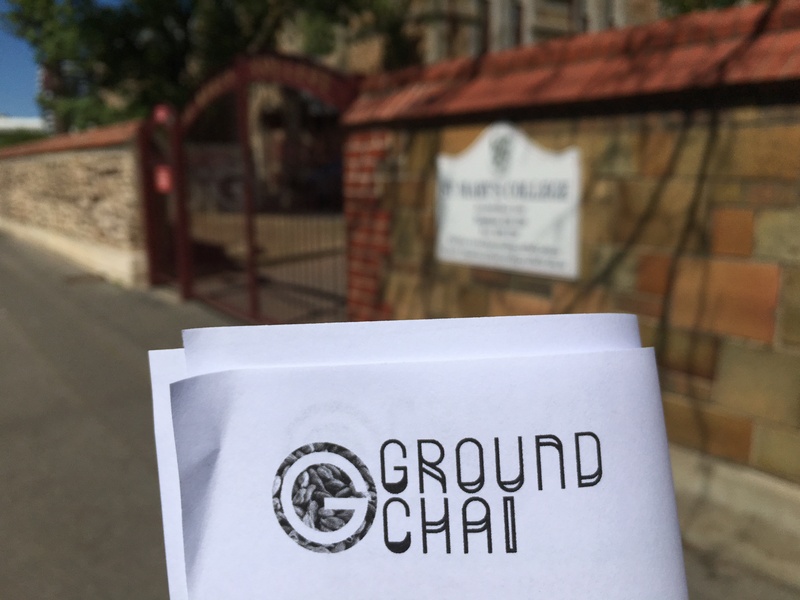 In this way, Ground Chai began to grow, connecting with 72 schools across the country within its first 8 months of starting. How did you first fund it? I did as much as I could off my own back, as many small business owners do. I was excited to learn how to become self-sufficient where I could and asked for help where I needed it. I learnt how to create my own website using WordPress. I was fortunate to have studied law which enabled me to legally establish the business and write the necessary contracts. I asked for help at every step – asking friends from law school to check over the legalities of the business, accounting friends to help set up a budget and balance sheet, my talented graphic designer partner to check my website. Through a community I was able to progress quickly in stablishing my business. It cost me less than $1,500 in fixed costs to establish the business, with the largest cost being the trademark fee. My ongoing costs are minimised through the strategic partnership I have formed with my stockists (cafes) and my local supplies (all small business owners). I feel money is just one of the many channels we have accessible to conduct supportive business and focused more on looking at in-kind support and mutually supportive events. I then applied for many grants and fellowships to support the social enterprise while it is still in its infancy. This was a great learning process and I am thrilled to have raised $60,000 in seed funding to take Ground Chai to the next level this year. Again, when people see that you’re setting out to make a difference in people’s lives, they want to be a part of that. One of my favourite mantras is if you make your business about helping people then you’ll never be out of business. Whenever something is not working for me in my social enterprises, I ask myself the question, “How can I help people more?”. What was the first inkling where you thought, ‘This could really take off’? That moment came when I ran my first entrepreneur skill workshop with a small school in Tasmania. 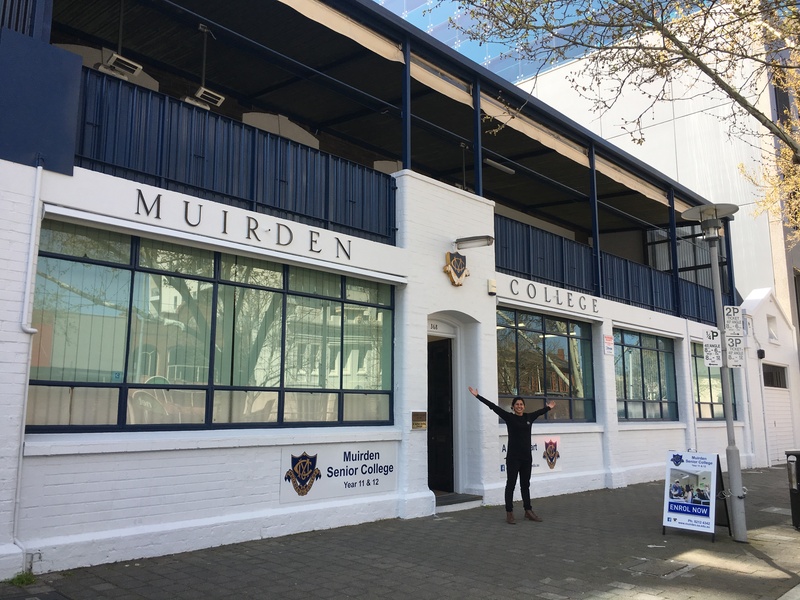 I spent a day with all the Year 11 and 12s in a town known for its youth unemployment and poor mental health conditions and could tangibly see the impact on their self-confidence from being exposed to a new way of thinking about their entrepreneurial potential. I whole-heartedly knew then that what I was doing really made a difference and felt incredibly lucky that I got to work with young people who no matter their circumstances, still wanted to make the world a better place. Why use Chai for cafes as a vehicle to support your social mission? I am so proud of the culture of social awareness we have amongst all facets of Australian society. I also love our café culture. I wanted to connect our café culture to our social cause culture with the idea being that a person could walk into a café, buy a cup of Ground Chai and know that all the profits from the sale would provide real value skill workshops to young people around Australia. I think there is real potential in connecting the two to tackle youth unemployment. Chai was a natural personal choice for me. In my Indian culture, a cup of chai symbolises connection – with family, friends, strangers. It’s a moment of shared enjoyment and the act of making chai for others brings me so much joy. I wanted to make chai for more and more people and bring them the joy of helping others over an authentic delicious cup of my grandmother’s recipe chai. What kind of impact are you able to have through your social enterprise on young, remote kids? own business or not, I want them to bring an entrepreneurial mindset to what they do. The future of work is changing and is so different from what their parents and grandparents experienced. I want to help prepare them with a mindset to make the most of this new changing world of work. I want them to be able to provide a source of income for themselves and have the choices associated that comes with economic freedom. I want to empower them with a mindset that will build them for a future they can actively partake in. 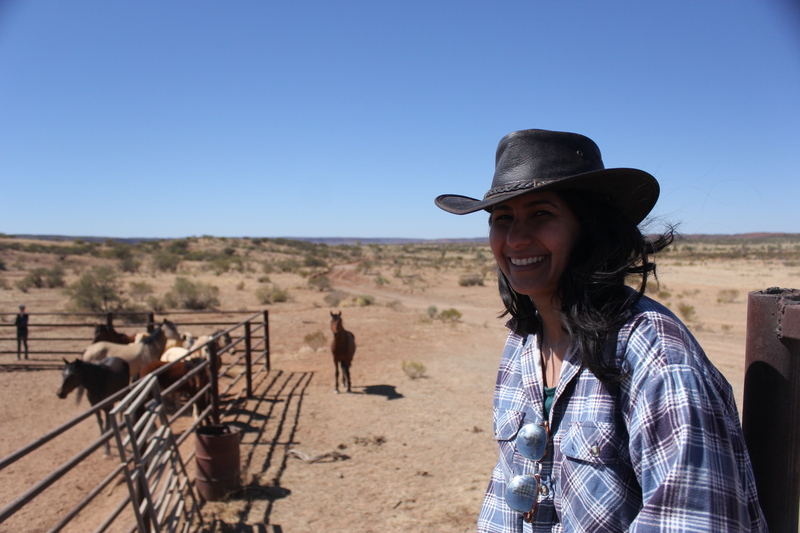 I want young, remote kids to have a voice in creating the future of Australia. What has been the most challenging time in your business and what did you learn from it? myself with other young social entrepreneurs, my belief in self soared exponentially. I am grateful for these challenging times, these are the times I learnt the most about myself and got to erase all the constraints I had set upon myself. How are you involved in Global Sisters? mentors and coaches for these young women and nurturing the brilliant ideas they have for solving problems in their community into something tangible. Our plan is to organise five of these conferences around the country before the end of June. If you would like to get involved in anyway, please send me an email on mikhara@globalsisters.org. What’s next for Ground Chai? Ground Chai has been accepted into the Australia-ASEAN Emerging Leaders Program 2018 which will enable me to meet with other young social entrepreneurs in the Indo-Pacific region to work together to tackle the biggest problems in our part of the word. I am excited to continue to work with young people around Australia and will be working with schools in the Northern Territory come July this year. I want to focus on putting in measures to better measure the impact the Grounded skill workshops is having on high school students’ entrepreneurial ability and mindset as well as continuing to connect the café consumer to the young people around Australia.